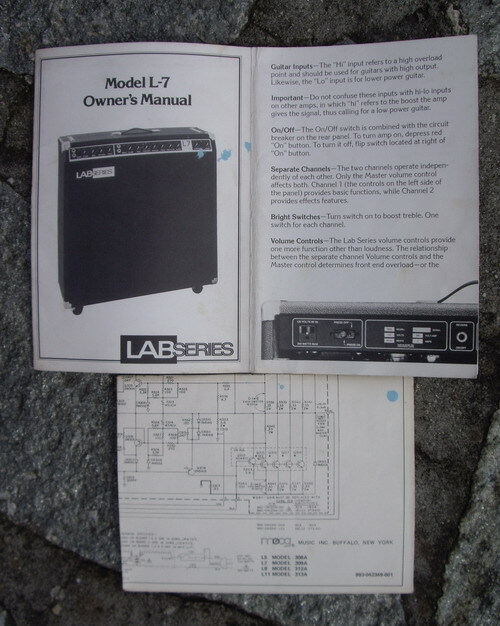 1980 LAB SERIES L9-312A 100 Watts, single 15" Electro Voice speaker, Orig Manual and schematic. 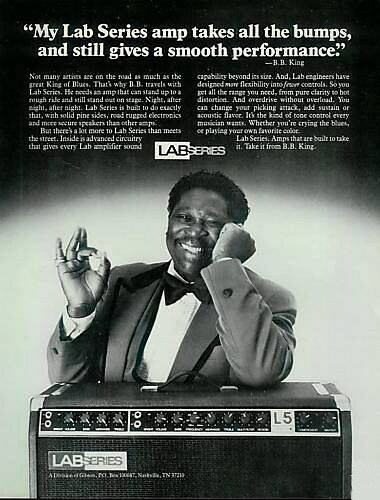 Norlin launches a line-up of Lab Series amplifiers and the next year (1980) Lab 2 Series. These are designed by a small group of people from Moog (a division of Norlin). Norlin also releases entry level line-up named "Genesis". One of the co-designers in "Lab Series" team is Dan Pearce who later starts his own company "Pearce Amplifier Systems" that builds high quality transistor amplifiers (i.e. G1 and G2R). "Lab Series. These are not Gibson amplifiers. Lab Series were manufactured and designed by Moog, which at the time was owned by Norlin - a company that also owned Gibson. Norlin used Moog's resources to release Lab Series in a response to Gibson seizing its amplifier production. 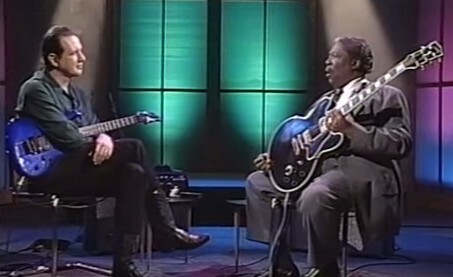 Gibson did handle the distribution of these amplifiers though. 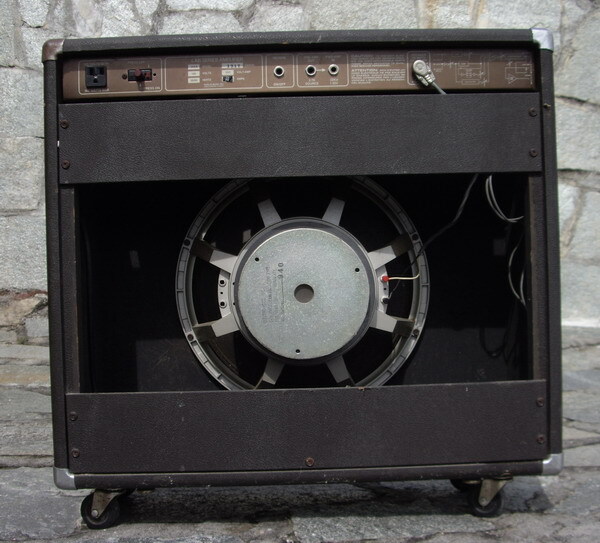 The series included guitar amplifiers L3 (60W combo), L5 (100W combo Model 308A), L7 (100W combo Model 309A), L9 (100W combo Model 312A) and L11 (200W head Model 313A + 2 cabinets), which were all (except the L3) based on the same circuit but used a different speaker configuration. 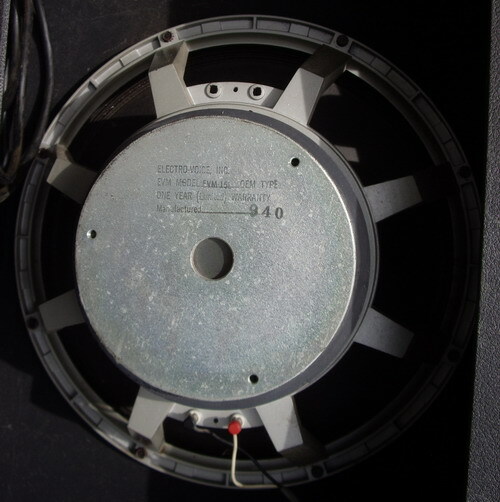 The higher power head model L11 also had a fan, beefier output transistor configuration and different power amplifier with higher VA rating and secondary voltages. 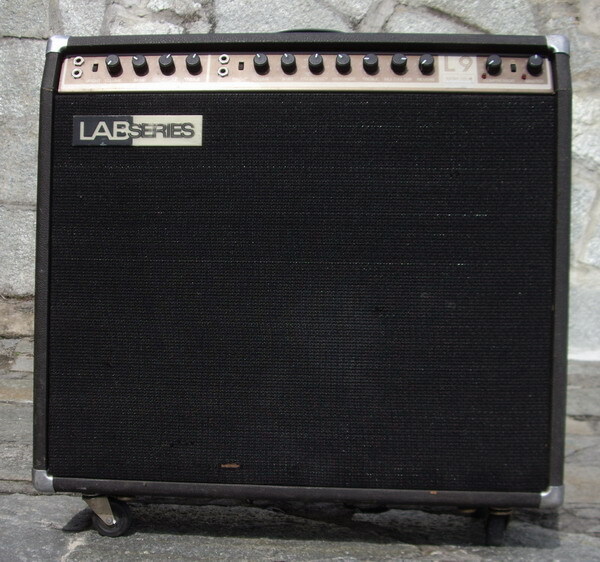 Other Lab Series models were bass amplifiers L2 (100W head), L4 (200W head Model 317A) and L6 (100W combo) - plus keyboard amplifier K5. Very likely all of the amplifiers (except the low power L3) were using the same power amplifier module (with slight modifications) but a different set of preamp modules. 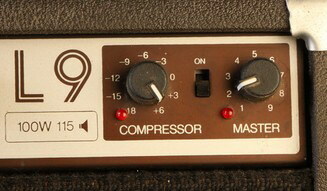 "This is the real dawn of tube pre - SS power amp -style hybrids. 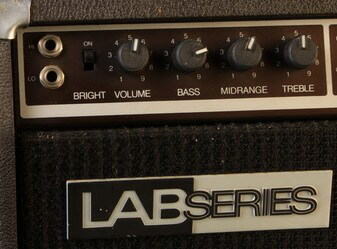 Products like "Legend" amplifiers or Lab Gruppen's "AXE Amp" are preferred by artists such Johnny Winter or ZZ Top.